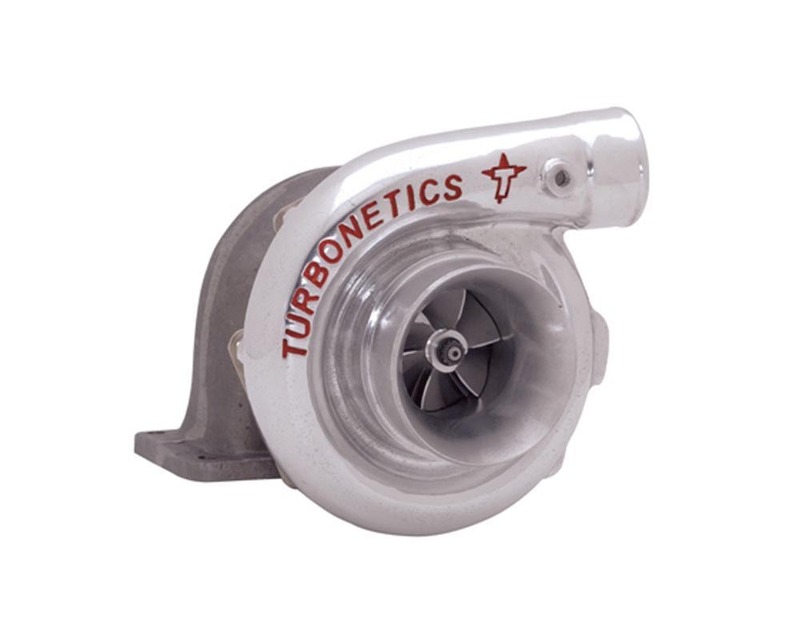 Turbonetics offers custom-matched and custom-built turbochargers designed to get you across the finish line first! Designated the T-Series, this turbo family incorporates the latest ?state-of-the-art ? turbocharger aerodynamics and the toughest durability available to the maximum performance engine builder. With a wide range of flow capacities (HP58, HP61, HP64, HP66, HP70, HP72 and HP76) capable of supporting 500 to 950 HP with a single turbo. All T-Series turbos include the Turbonetics Big Shaft components. Dynamic seal is standard. T-Series turbochargers are matched with Turbonetics F1 Turbine Wheels from 550 HP 62mm and 700 HP 65mm to the 950 HP 68mm.